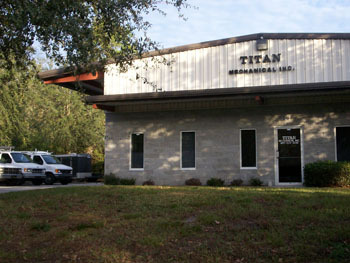 Titan Mechanical, Inc. – Serving Central Florida for over 40 years! Titan Mechanical is a full service HVAC, air-conditioning, refrigeration and ventilation company with over 40 years of combined service experience. We specialize in construction of new restaurants, strip centers and tenant build-outs. We provide our customers with exceptional service in a timely manner. Licensed, Bonded, and Insured, CAC 035571 and CAC 1814621.